A La Terra Trema 2012 - From 23 to 25 November 2012 we will be at Milan. Want to be informed about news from the company? The history of Cascina Carrà began in 1986 with the family estate of 6 hectares and subsequently conducted by Italian and Marisa, expanded with the purchase and installation of a further 7 hectares of vineyards. 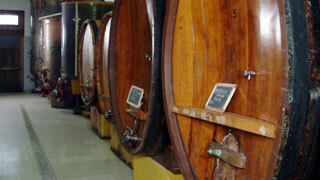 The company is located in Monforte d'Alba, Langhe Loc San Sebastiano country well known for its fine wines. Do not lead with biodynamic viticulture but we have learned and applied some of the features in our vineyards, we believe with conviction that respect for the earth, we regularly sdebitandosi parts with quality. We transform our wines combining tradition and innovation. We use both barrels for aging in oak barrels and small, the Barrique, the barrels and steel tanks. We believe we are able to guarantee an optimal combination between quality and price. The name of the street that leads into the courtyard, "Via Carrà" The termination "by Carrà" certainly makes reference to the ancient nomenclature of certain wine vessels: the "Brenta" 50 liters, "Carrà" 600 liters, ie 12 kegs 50 liter. 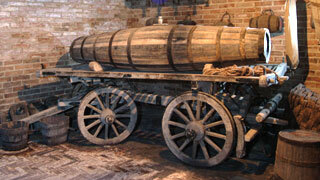 The "Carrà", so it was a special oval barrel mounted on a special wagon to haul animal, and in this way was the way dirt driveway for the transport of the wine to the wider road transit. This area is a paradise, more than anywhere else nature has kept its balance in favor and above all the vineyards that do not require the contribution of human science.